2018 was a great year in the tech field, major strides were made. Well, the year just keeps on giving. 2018 gave us the new kick start to the gaming phones which we’ve been waiting forever and since PUBG mobile was released the demand for gaming devices grew up even more. Whether you want a phone with an amazing camera, great build quality, good processor, premium specifications and many other factors, you’ve come to the right place. Today, we have with ourselves five of the best smartphones which range under Rs. 20,000 and which might be the New Year’s gift you’ve been looking for. You can get the buy link to all the phones mentioned below by just clicking on the title of the paragraph, and the best buy link will pop-up. So, starting off with the first device on our list. Huawei’s sister brand Honor has had an amazing year with the Honor Play and Honor 8X among the two phones which were public favorites. 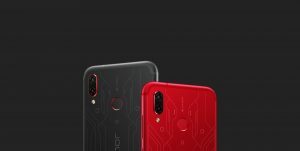 The Honor Play goes on sale for Rs. 16,999 with a higher variant available. The device sports an elegant design and I must say it is one of the best gaming phones in this price range. The Honor Play comes with the company’s in-house Kirin 970 flagship processor with a Neural Processing unit that allows the device to enable AI wherever needed especially, cameras. For users looking for a gaming phone with a decent camera and a vibrant display should definitely go for the Honor Play. 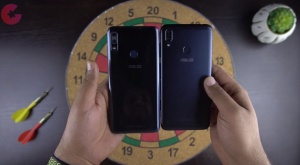 Asus has launched the successor to its much loved Asus Zenfone Max Pro M1. The Max Pro M2 received the same amount of love from the people with instant sales received by the company. The M2 is powered by the Snapdragon 660 SoC and runs on stock Android. The device sports a 5.99inch Full HD+ display with an IPS panel. The device, in my opinion, is amazing for users who are on the go for most of the day. The whopping 5,000mAh battery easily runs around a day or two with normal usage. The camera on the M2 is also above average and hence, the Max Pro M2 is a worthy candidate for this list. 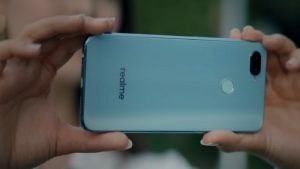 RealMe is yet another brand which emerged into popularity in 2018 with its budget-oriented devices. The Realme 2 Pro goes against the mighty Max Pro M2, Realme also packs in the Snapdragon 660 SoC and at just Rs. 13,990 it offers 4GB RAM with 64GB storage which according to me is a great deal. This device is one of the cheapest in India and comes with a vivid display and a well-aligned WaterDrop notch which seems to be the trend nowadays. The build quality on the Realme 2 Pro is also very good with proper software and the quick face recognition tech this device fits in on the list just fine. 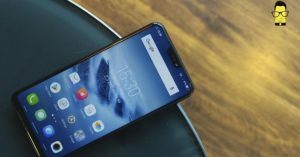 The Vivo V9 Pro is very popular amongst the gaming community since most of the budget gamers choose this device for their long gaming sessions, thanks to the Snapdragon 660 chipset coupled with Adreno 512 GPU and the 3260mAh battery. Although, the Vivo V9 Pro comes with a poor bloated FunTouch UI with Android 8.1 Oreo which might be a liking to some and a dislike to others. Nevertheless, the fast face recognition on the V9 Pro accompanied by the quick fingerprint sensor and a decent battery life allows the V9 Pro to be a contender on this list. Need I say anything about this device?, the Poco F1 has to be the most popular of the lot. 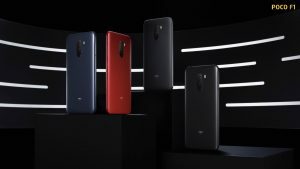 The Poco F1 comes from the sister brand of Xiaomi that is Pocophone. The device comes with Snapdragon 845 which is a flagship processor. 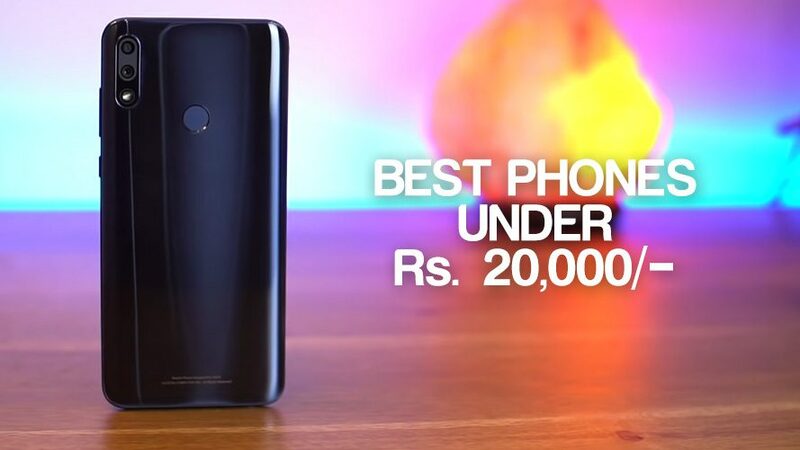 The Poco F1 is the most affordable device in this price segment considering the fact that it just costs Rs.19,999 and comes with the aforementioned processor coupled with 6GB RAM and is the perfect suit for everyday usage and of course, heavy usage as well. The battery life along with the amazing camera quality that the Poco F1 provides makes it a worthy choice for your next smartphone. Well, these were the devices which we found fit for you to buy, let us know down in the comments if we missed out on any devices and if you are among the users of the aforementioned devices let us know if we did well.